This is a fun way to continue to learn the words from the Olympic Pack. This is an 11 page addition to the Summer Olympics Pack. 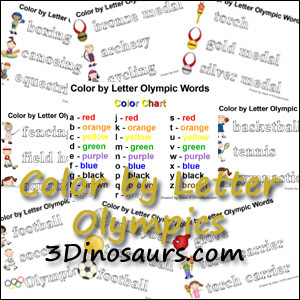 Click here for your Copy of the Olympics Color by Letter. Click here to see all the other Olympics ideas we have done. This entry was posted in printable pack and tagged olympics, printables. Bookmark the permalink. Pingback: Freebie Friday: Tom’s of Maine, Nescafe, and More! I love all of the educational fun floating around for the summer Olympics! This is a great addition to your Olympics pack Cassie. 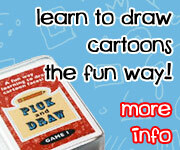 I myself have always been fond of the multiple skills that coloring my letter or number can teach a child. As always it is a pleasure seeing all of your magnificent work linked up to my Enchanted Thursdays Blog Hop, thanks Cassie!